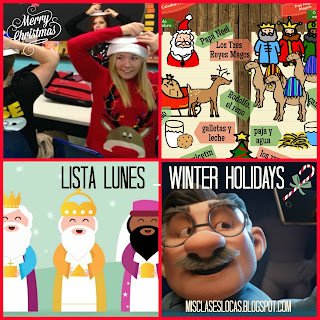 It is that time of year to round up my favorite resources from around the web for winter holidays. Here is my winter Lista lunes from 2014. I have the resources in chronological order from December 6 to January 6. Happy Holidays! I am not sure if I am the only one, but in my family we celebrate St. Nicholas Day on December 6. We put out shoes out and receive a small gift on the morning of December 6. 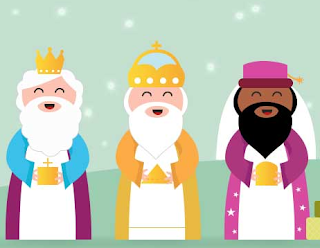 This site has many resources for St. Nicholas Day Around the World, that would make for great cultural discussions. Something that we did last year that was a big hit was the plate sketch game. All you need are paper plates, markers and a projector. 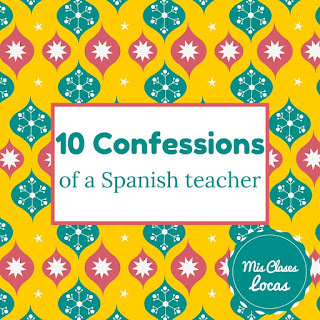 The teacher describes a Christmas (or any) scene in the target language (with the help of visuals from the presentation by Elena Lopez this post) and students blindly draw it on a paper plate on their head. Bonus points if it is tacky Christmas sweater day at school. I look forward to using this with my new group of students this year as a brain break. You have probably seen this adorable video everywhere already, but just in case I am sharing it again. We have school the Monday and Tuesday before Christmas this year, and since we are on trimesters it does not involve any kind of semester tests this year. I have decided that in all classes we will be doing a mini Christmas unit, focusing on this video. I will be using the wonderful resources below from Martina, Kara & Elena. 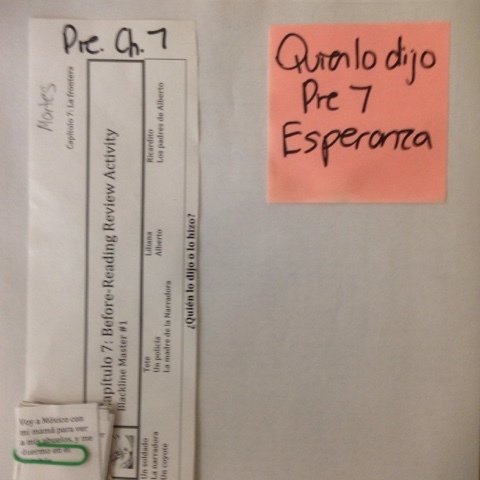 I plan on using Martina Bex's Año Nuevo unit when we return from break on January 4. We will spend the whole first week doing cultural activities from this unit, as well as Los Reyes Magos below. We may also do some activities from the Tradiciones de la Navidad unit. 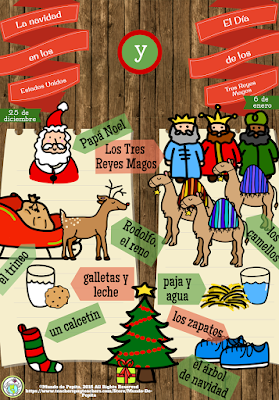 This adorable Infographic comparing Navidad & 3 Reyes made by Mundo de Pepita would be perfect for early language learners to start comparing the two holidays. I plan to use it with my 7th grade exploratory Spanish class. There are lots of ideas of what to do with it in this post and a mini unit for purchase here. This is an activity for Los Reyes Magos that I put together for my maternity leave sub 2 years ago when I hoped I would not be returning from winter break. There was no such luck as the little guy did not make his debut until January 14. A more advanced version of the reading, with audio and additional activities can be found here. Many people have mentioned that you like that I share my failures. It makes sense because we all like to see that others are human as well and (sometimes) fall flat on their face in class. See my previous #confessions here. 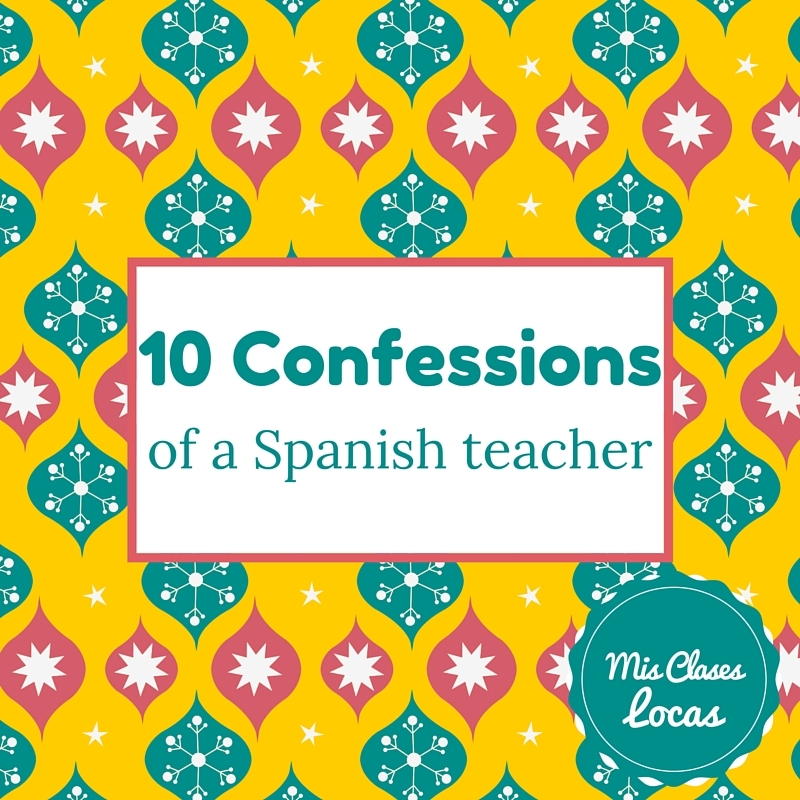 So here are 10 trimester 1 #confessions. El Pingüino stopped making his rounds to English speakers in class soon after this post was published. As with many management techniques I was not consistent enough to make it work. 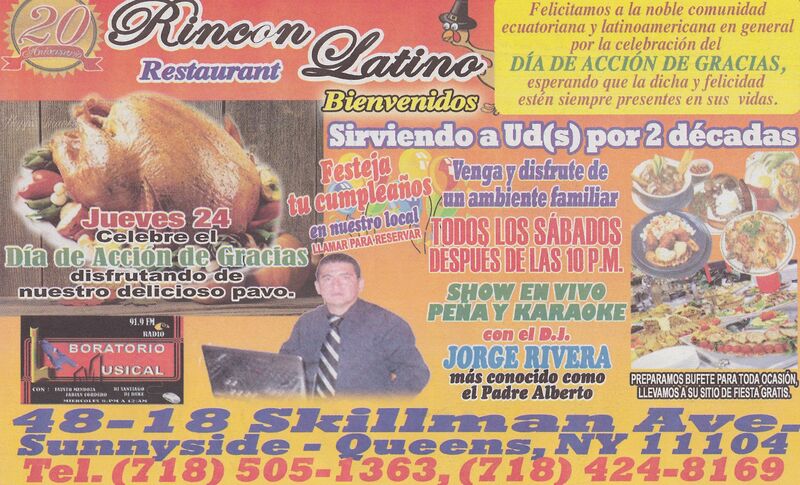 I rarely plan our baile viernes in advance. Usually I pull up the playlist and let 1st hour pick the song of the day. A student made it through our Costa Rica/Robo en la Noche unit only to believe that the book took place in Puerto Rico. We did not do any free reading the last 3 weeks of the trimester. Both upper level classes were reading novels and I figured we all needed a little break. There was a two week struggle with a parent over 2 points lost on a late student assignment. When a student says something that is hilarious but inappropriate, I have to turn around so students can not see me secretly laughing. (I have a terrible poker face). I constantly mix up 2 girls names (even though I know both of them). When my throat hurt, novel chapters were read alone, with partners, or using the audio book. Now that I have a senior assistant, I do not know what I would do without her. She makes my bulletin boards, copies, cuts out manipulative and gives me another "adult" to joke with during Spanish 1. I rarely do something in class that was not created by someone else. (Hello Martina Bex units and novel teacher's guides). Last year I did a series on things I was thankful for, but this year it is going to be summed up in one post. I am thankful for so many things including my husband, spitfire little boy, friends, family, amazing co-workers, and welcoming new students and school. But today I want to focus on one thing that is very often overlooked, food. I am thankful that I never have to worry where my next meal is coming from. After devouring pizza won as a reward for lunch, freshman still go to school lunch to get their meal. Students are extremely hungry on Mondays after the weekend. Any food brought in to share is devoured by a pack a wildebeests (teenagers). I do not know about you, but when I am hungry I get hangrey and cry easily. I can not even imagine what it is like for students when the only meals they eat are school breakfast and lunch. No wonder they are not A students. Effort requires fuel, and without it many are running on empty. Even as well feed teachers, when we find out there are treats in the lounge it is a mad dash for those bars. Food just makes us feel better. Can one teacher change the world? Possibly. Can one teacher change the life of a student? Absolutely. Here are a couple ideas that we recently put into action. I wanted to make sure that my Monday morning first hour Spanish 1 class had fuel for their final, so I made muffins. I know we spend a lot of money out of pocket, but a couple dollars for a box of muffins seemed to brighten the day of some hungry freshman. Our national honor society (which I am sponsor of this year), just held a food drive, as a battle between the classes. Just yesterday, the food was divided up to give to local families. I hope that holiday break at these homes is a little brighter this Thanksgiving. Over these past couple of years I have softened a LOT as a teacher and have become more human. I think the main reason for this is I have realized I need to look at the whole student. My first year when I caught a student cheating, I took it as a person attack on me and my class. Now I realize if you ask the student about the incident you find out hey are overwhelmed by work, school, parent issues, boyfriend drama, not having enough to eat and know that they have to succeed on this quiz to pass a class. All you have to do is ask, and listen. So remember that not every student is as thankful for this break as you are. Going home to any empty cupboard and no celebration is not as exciting as what you have planned (Thanksgiving #3 & #4 for me). Monday morning they will be very thankful to be back in your class. If you do happen to have school tomorrow (bless you), here are some ideas of things you could do: Lista lunes: Thanksgiving. Have a blessed holiday and as always, thank you for reading and being a part of my journey! 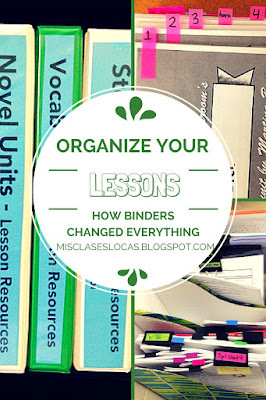 If you have been reading for any length of time now you know that I am one of those teachers who loves (teacher) organization (the extra bedroom, aka junk room at my house is another story :). 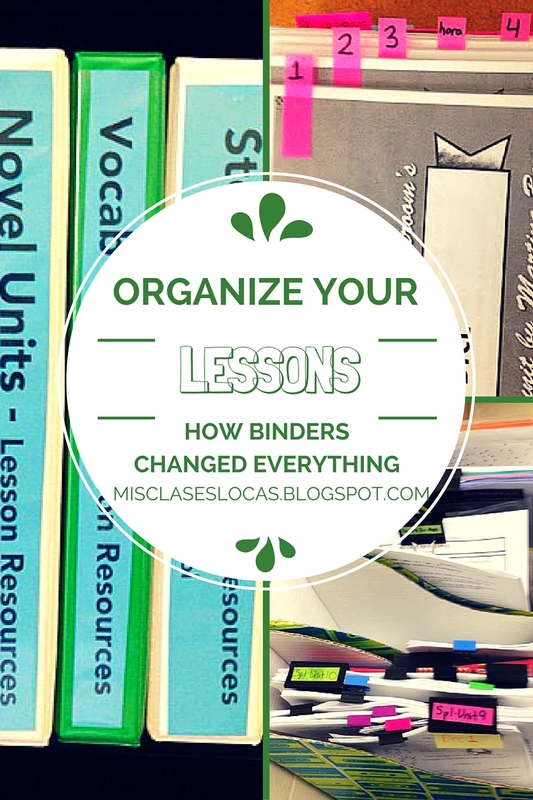 I have mentioned before how I organize novels, spring cleaning my own binders and helping students get organized with student binders. Also, here are all of my posts labeled planning. 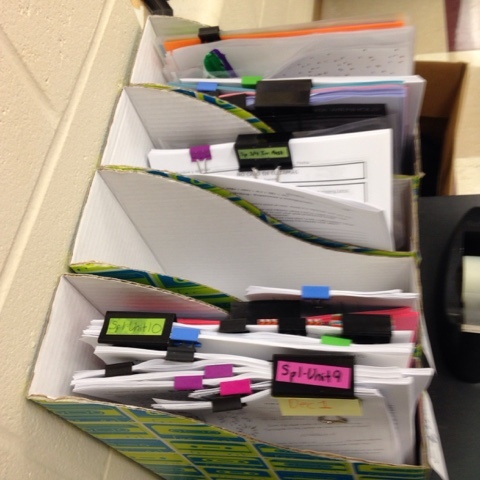 As with everything, all teachers have their own style with organization. Some have piles all over their desk, but can tell you exactly where everything is. Others are completely digital and their file cabinet is the cloud. If what you are doing works for you, there is no right or wrong way to organize, but there is always room for incremental improvement. As a #deptof1 planning ahead is critical for my sanity, as I teach all levels of Spanish with many preps. 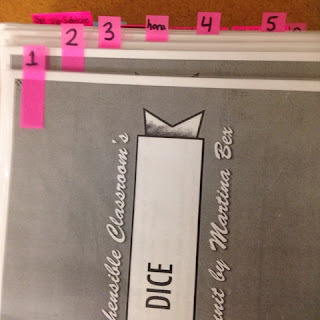 As you know I am all about the binder, so today I am going to share some strategies that have worked well recently when organizing novel and story unit materials. I also have all my files on google drive (which currently needs some organizational help due to not paying attention if I am logged into my personal or school gmail when I create and upload files). As I have previously mentioned, most of my units now are now based on TPRS novels, as well as cultural and storytelling units from Martina Bex. You can see the overview of my trimester 1 curriculum in this post. After my first year I created an awesome binder with tabs for every textbook chapter, for materials to be saved from year to year. While a great idea in theory, most of it sits untouched as I have moved away from that textbook. Last year I was an organizational mess starting storytelling and novel units, because I had not yet created my trusty binders. It took me until the very end of the year to finally get it together and put reusable materials by unit and chapter, in sheet protectors, in binders, but I am SO glad I did. 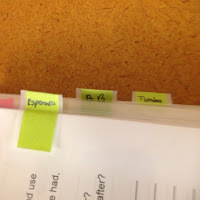 They are not anything fancy, just labeled tabs on the sheet protectors separating each novel or unit. Each section is in chronological order or the unit. The main thing that I keep in the novel binder are reusable activities, such as ordering sentence strips, task cards, and anything that requires effort to cut. If you are really on top of it, these could be laminated, but I have not gotten that far yet. Each activity goes in its own sheet protector, which can be taken out for that day's plan, and then easily collected and returned for next year. If you are just starting out you can have the first class do the laborious cutting, and then save them for future use. Or if you are really lucky you may have a high school assistant in your room or in the office who is looking for something to do and would be glad to cut. These two pictures below show sheet protectors with activities for the day. I like to have everything ready for the nest week on Friday, so I pull all activities, slap a sticky note on them for the class and day, and put them in my magazine holders behind my desk, for activities for the upcoming week. I just put the sheet protector out with the activity, use them, and have each class return them to the folder. At the end of the day they can be returned to the binder for next year. Besides binders, my main organization for novels is a big Google Slide show that has pre-discussion questions, during reading questions, follow up activity instructions and more. I project it each day as we are reading, and also post the entire thing on Schoology at the start of the unit for students to access. This way there is no excuse when they are gone, since they know what we are doing the next day. For Martina's story and cultural units, I print out the entire detailed, wonderful plans and put them in sheet protectors by unit in another binder. I also put reusable class sets in here by unit as well. This way I am saving a couple trees by reusing the plans each year. I like to plan for a whole unit at once, pulling all items that need to be copied and cut, and then clipping them all together so the whole unit is ready to go. Below you can see the magazine holders behind my desk with all activities for a unit ready to go. These magazine holders came from the Target $1 spot a few years ago & are great for organizing future materials. I used to have one for each day, but now I like to sort items by level. What are your tips and tricks for staying organized? 100 Awesome Resources - 200th Post! This is my 200th blog post!! I have been thinking for a while about how to celebrate this milestone, but can not seem to find the time to do anything as awesome as I did for my 100th post back in February. 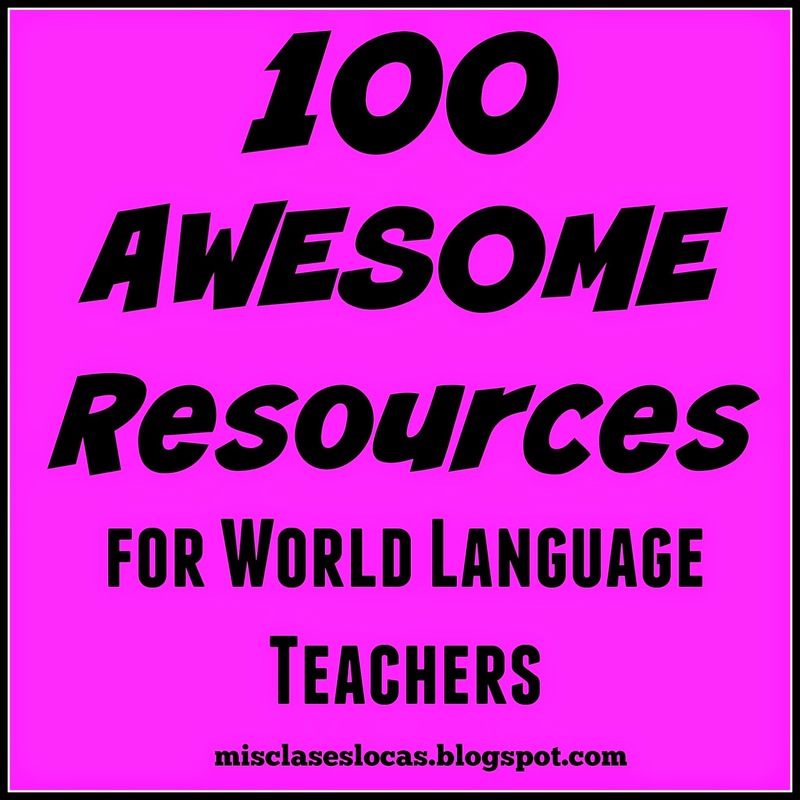 So instead, I am going to re share 100 resources for world language educators. Please share other great resources in the comments! 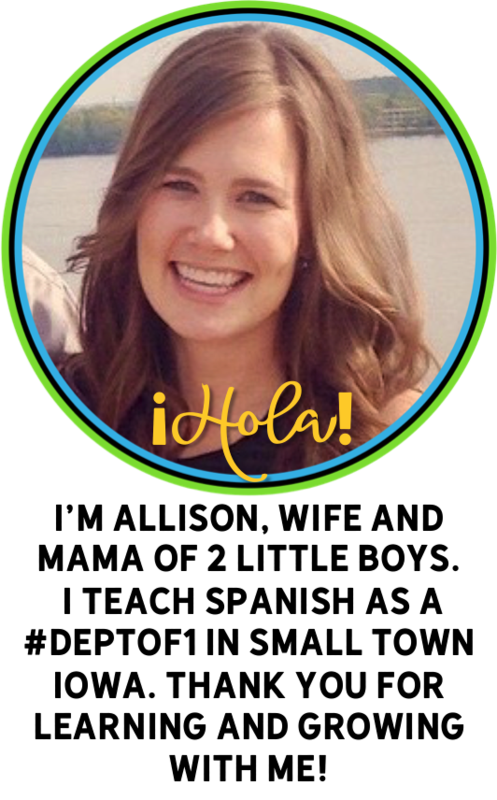 Teaching Spanish Thematic & Authentic - Kara Jacobs has entire upper level cultural units full of wonderful authentic resources. Teachers Pay Teachers - Buy lessons or whole units while supporting fellow teachers. 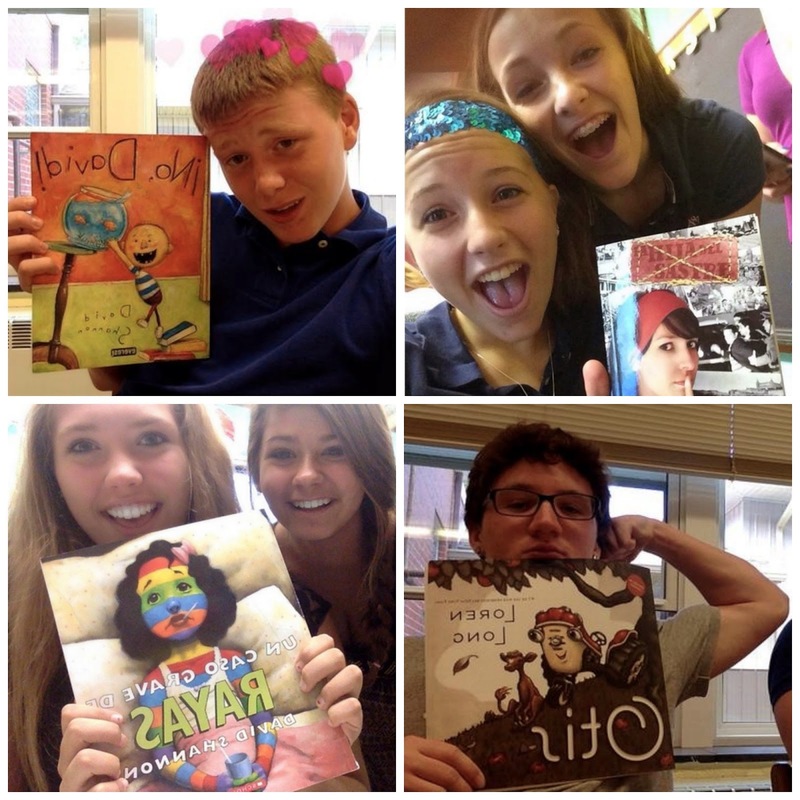 TPRS Publishing - The amazing teachers guides provide a well rounded cultural unit. The Comprehensible Classroom By Martina Bex - The storytelling units are amazing, complete and an affordable way to use comprehensible input lessons. Film in the Spanish Classroom - Resources to teach authentic Spanish films. Film Arobics - This site provides full movie units for purchase. Units for Spanish Class - Zachary Jones is the first place I go for ready to go activities using authentic sources. Jefferson County Public Schools - Here are great examples of planning WL curriculum outside of the framework of a textbook. Curriculum planning outside the textbook - Before you make the no textbook leap, check out great posts by Musicuentos on the topic. Aventuras Nuevas - Bethanie shares amazing and beautiful resources, including El Internado. El Mundo del Birch - Sharon has wonderful resources for music and teaching with novels. Embedded Reading - Resources and ideas of how to incorporate comprehensible reading in class. En français, SVP! - Wendy shares her honest struggles & journey as a young French teacher. Hearts for Teaching - Laurie shares CI resources like an old friend. Kristy Placido - Kristy shares TPRS resources as an expert author. La Clase de la Senora Dentlinger - I have had the great pleasure to meet this awesome fellow Iowan teacher with inspiring ideas for new units. Language Sensei - Even though Colleen teaches Japanese her ideas for communicating in class can easily be applied to any language class. Lugar Para Pensar - Andrea has fresh ideas for how to spice up a language class. 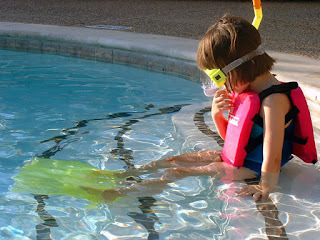 Maris Hawkins - The most frequent WL blog poster always has a great tidbit or idea to share. Musicuentos - The archives are like a treasure chest of great ideas that will challenge the way you think & teach. señorita barragán - Crystal's post about free reading in class convinced me to start my own class library. Somewhere to Share - Carrie Toth has a never ending supply of fun activities to complete with novels. 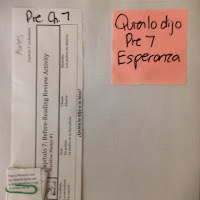 Teaching Spanish WIth Comprehensible Input - Cynthia has wonderful reading resources, especially with novels. Teaching Spanish Thematic & Authentic - Kara's resources for her Culture & Civilization class are so great they deserve two spots on this list! 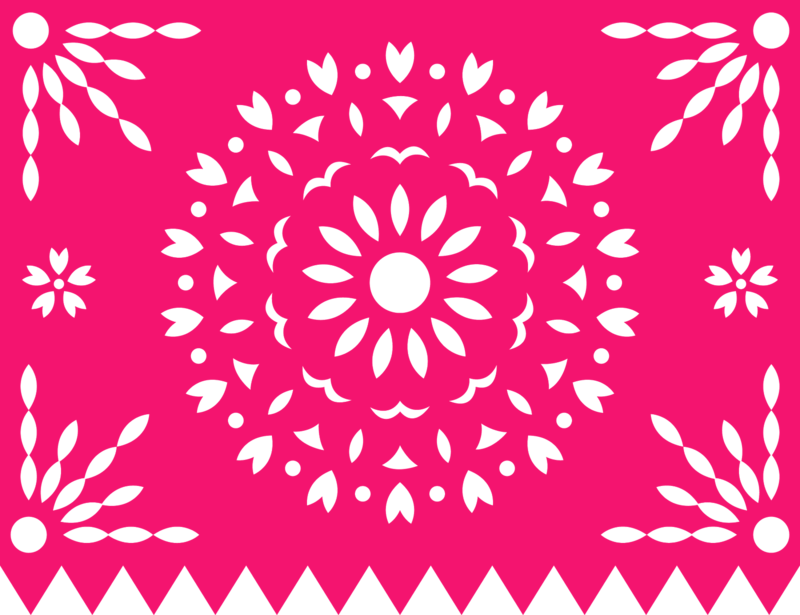 The Creative Language Class - This is the first language blog I ever followed and my class uses so many of their routines including "La Bienvenida," "Viernes Chant," & "Friday Feedback." 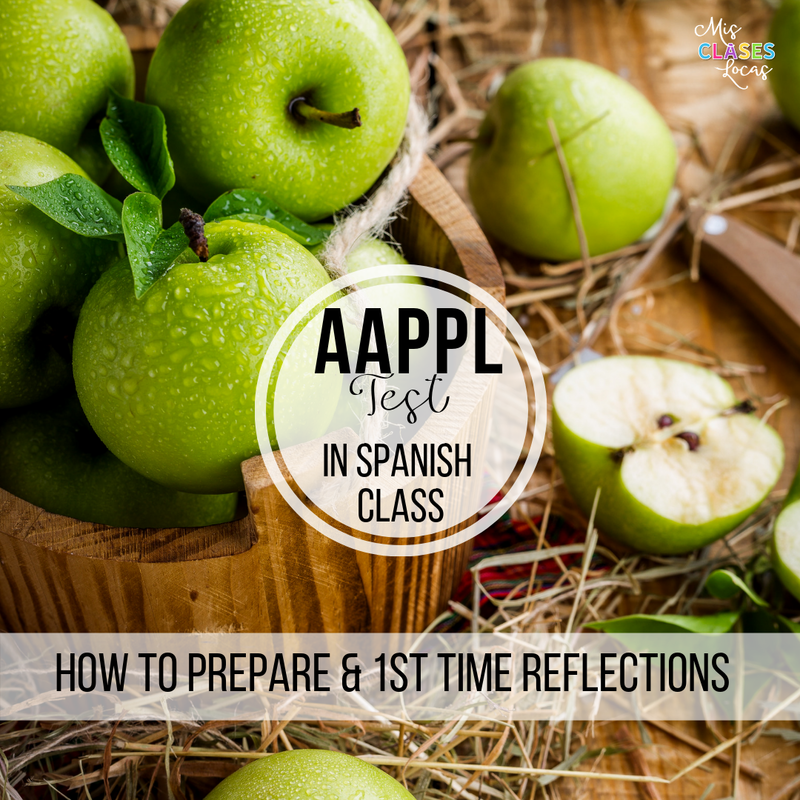 Truquitos Chéveres Para la Clase de Español - There are always fun activities for holidays on this blog. Williamson CI & TPRS - Dustin is another one of my favorite sharers of resources for El Internado. Blog Lovin - This app is the game changer for becoming a regular blog reader. Twitter - The PD and resources shared on Twitter is something I wish I would have found sooner. Pinterest - Finding authentic resources and new blogs becomes an addiction on Pinterest. Google Classroom - The organization of classroom has made transitioning to a 1:1 school a breeze. 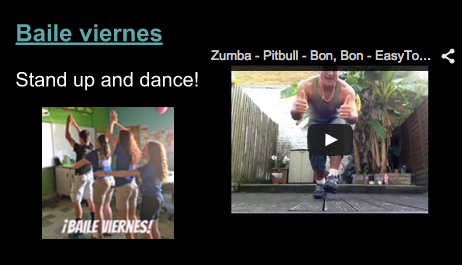 YouTube - I use videos on a daily basis and love my baile viernes playlist. Duolingo - Free online/app practice of many languages. Twitter Trends Map - Search through the trends in the country you are studying. Word Reference - The anti translator, with options and forums. Es Mas Cine - Videos, news, and photos about movies. ESPN Deportes - The perfect #authres to start a sports unit. El Corte Inglés - The Target of Spain is perfect for any kids of shopping unit. 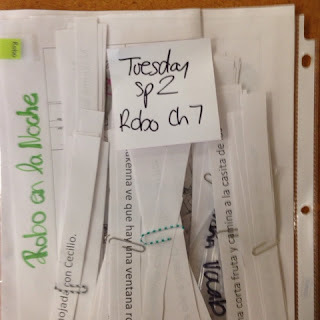 University of Austin Spanish Proficiency Exercises - Native speaker clips are sorted by theme and task. Veinte Mundos - The online articles are on a variety of topics, with activities & videos. Univisión - The news videos and articles are always changing and current. The Bible in Spanish - For those who teach at a private school like me, this is a great Choice Homework option. Tú en línea - Teen magazine with celebrities, gossip, fashion and beauty. El Internado - This is hands down the best engaging authentic listening for Spanish class. The Book of Life - A new animated film about the Day of the Dead. Canela - A cute story of a girl & her grandma in Mexico, perfect for a unit on food. Which Way Home - A documentary about children traveling to the US on cargo trains. See how I used it here as a part of immigration unit. Sugar - A story of a Dominican baseball player who tries to make it big in the US, that goes great with a baseball unit. Pan's Labyrinth - A dark look at the Spanish Civil War for upper levels. The Motorcycle Diaries - A film for upper levels with strong language that tells the story of Che Guevara's journey around South America. Casi Casi - A school appropriate movie that works well with a study of school or relationships. Under the Same Moon - Another great film for an immigration unit. Selena - A fun movie about Chicano culture. Waka Waka (Esto es Africa) - The favorite song in Spanish of almost every class is the ultimate video for a sports or World Cup unit. Students - It would be pretty boring to teach in an empty room, and my students' feedback helps to make me a better teacher. Face to Face Colleagues - Even as a #deptof1 in regards to world languages, these seasoned teachers at lunch can teach you SO much about classroom management by knowing each student individually at school. #langchat Online Colleagues - Thank you for allowing me to beg, borrow & steal all of your great ideas, as well as challenge me as a teacher. Blog Readers - Thank you for every comment, share, suggestion, or critique. I have come so far in these first 200 posts, and I can not wait to see what is to come! Family & Friends - Having someone outside of the school bubble helps to keep things in perspective and allows a break away to recharge and come back ready to go for the students. Please share your favorite resources in the comments! One of the best things about Twitter is the collaboration of the #langchat PLN. Last week Kara Jacobs (@karacjacobs) tweeted a proposition to collaborate on additional materials for the movie Canela. Here is the working document by Kara if you would like to contribute as well. It is a cute and appropriate movie set in Mexico that is available on Netflix right now. Last year Kara introduced me to the movie, when she posted her original Canela guide for intermediate students. I decided to show it in Spanish 1, so with her permission I adapted it into a novice guide. I actually already had the movie planned to show once again in Spanish 1 next week, to tie along with out Latin food study. We will watch it in Spanish with English subtitles, pausing for comprehension checks and discussion in Spanish. I wanted to contribute to the collaboration, so here is a basic new slideshow to introduce the movie Canela. 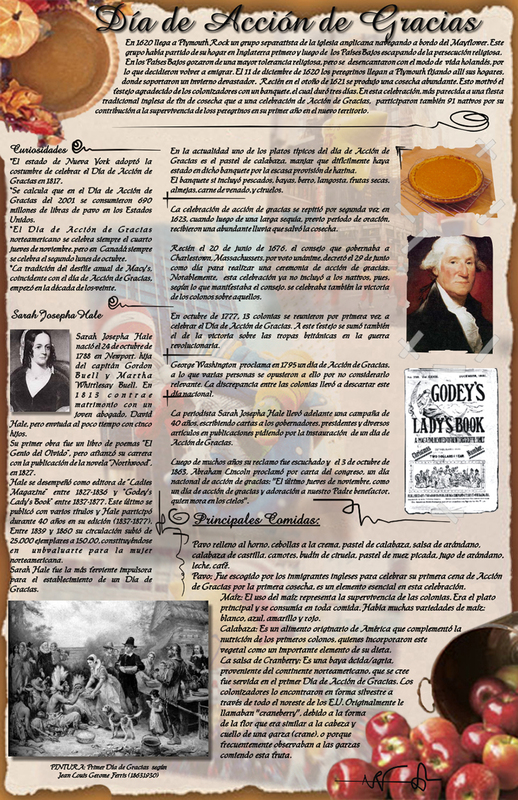 I used the first page of the guide, introducing the story, characters and cultural products and put in into a slideshow. Hopefully the visuals of the characters in advance will help the students better comprehend the movie. A couple of the slides from the slideshow are below. They could also be referenced throughout the movie to review and add more comprehensible input. What are your favorite activities to go along with movies? Last night I watched the 'Finding Dory' trailer for the sequel to Finding Nemo. My almost two year old thought the the colors in it look pretty great and maybe by this summer it will be his first movie in the theater. Today first hour the trailer came up in discussion and students were begging to see it. So I found the Spanish Trailer Oficial to watch as a class as a brain break. While watching it the light bulb came above my head of how perfectly it fits with our current unit. Spanish 1 is currently on Unit 8 (Búscalo) of Martina Bex's Storytelling curriculum, which focuses on the structures "finds" "looks for" and "knows." 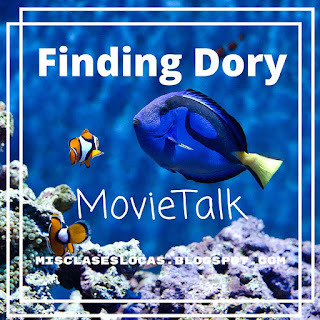 This trailer, or many scenes from Finding Nemo, would be a perfect movie talk addition to this unit! You can read more about MovieTalk here, but the basic idea is muting a short clip and describing the action in the target language. It works best when you are targeting a few key structures that are repeated. For example this could be a short excerpt of the trailer when done in the target language. "Nemo can not find Dory. He does not know where she is. Nemo looks for Dory. Nemo finds Dory." The title alone in Spanish would make a great discussion. In Spanish it is "Buscando Dory," which literally translates to "Looking for Dory," not "Finding Dory," which is the English title. The class could debate in Spanish which is a better title for the movie. Also, the title brings up a possible pop up grammar note about -ando generally meaning -ing in English. There are so many possibilities with this short trailer, of what I know will be a very popular movie. The English trailer is below, which has over five million views and was only posted yesterday. I look forward to intentionally movie talking this trailer in the next class. What a-ha light bulb moments have you had in class? This year I am very fortunate that even though I am a #deptof1 (department of one), I get to meet with other Spanish teachers once per month. Five tiny schools have come together to create the Cedar Valley Northeast group for specials teachers. Once a month during early out PD, we meet at one school in our content group: Spanish, band, industrial tech, etc. If you teach at a small school, I would highly recommend advocating for meeting with a group like this. The goal we have been given is to bring lesson or activity sample for revision with the group, but the real value has been just getting together with teachers of my content area. Those of you who actually have departments do not understand how nice it is to talk with someone in person who is actually a language teacher, more than just at a yearly conference. Even though I am the only teacher of the group who uses comprehensible input methods, there is so much to be learned from experienced teachers. As Carrie Toth so perfectly stated recently, "We should help and support teachers taking risks and even those afraid to take risks without judgement". See her full post about language teacher bullying here. So far I have been doing my best to share what I do in my classroom, without coming off as overbearing or condescending (& if I am please let me know group!). Many have expressed interest in comprehensible input, coming to visit, or have started looking into the possibility of purchasing novels. But, before anyone can even think about changing their methods or trying something new, their basic needs as a teacher have to be met, including administrator support, student respect, belonging at school, and a purpose for teaching. We spent a good portion of our meeting this week working on getting these essential needs met for a teacher, who is on the brink of wanting to leave the profession. Sometimes it is not about moving forward, but rather just staying afloat. Department of one teachers have 3-5 preps a day, which is close to preparing around 100 different lessons per month. With this extreme preparation load, the idea of major change is not only scary but exhausting, especially when you are going at it alone. Recently, I have been asked a few times, I want to move away from traditional textbook teaching, but where do you start? My 1st baby steps away from the textbook came from the Creative Language Class. They have so many ideas how to take the textbook chapter you need to cover and add in communicative, proficiency centered activities, focusing on function and showing what you know. If you are interested in moving into comprehensible input and storytelling, Martina Bex has an awesome series for tprs 101, as well as the mother load of both free activities, and wonderful entire units for purchase. Year 1 - Traditional textbook and workbook. Crammed vocab, quizzed, crammed grammar, quizzed, every night a page from the workbook to practice, textbook test, repeat with some new ideas sprinkled in from Creative Language Class and other online sources. I tried to incorporate unit topic as a whole with proficiency based assessments and started FVR with a grant. I used more blog, Pinterest and Twitter ideas, and started this blog in May of that school year. I used TPRS novels and a few cultural and storytelling units from Martina Bex. We started watching El Internado in Spanish 3 & 4, as well as second semester of Spanish 2. Here is my curriculum year 3. The only way I was able to move so fast from one style of teaching to another is from the AMAZING novel teachers guides and detailed storytelling unit instruction from Martina, as well as professional development in person. Also, I have had unlimited freedom (both a blessing and a curse), which is not the case for many people. So if your basic needs as a teacher are being met and you would like to take a dip in the CI pool, start wading on in! I am not an expert by any means, but I will gladly help share what I have learned so far on my personal journey. Hello November! Before we rush into Christmas, I wanted to take a bit to pause and be thankful for where we are at in the year. Last year I did a mini thankful series to reflect of what I was grateful for. We are exactly 1/4 through the school year, and it is a great time to reflect on what has gone well, and what we can improve on for the rest of the school year. Amazing new coworkers who I genuinely enjoy spending time with. Students who are embracing this crazy new Spanish teacher and new to them comprehensible input methods. My supportive husband who recognizes that teaching is not just a 9-5. My smallest Spanish student, my little boy, who reminds me everyday what it is like to be a novice low language learner. Anyone who reads this blog & has helped me to grow as a teacher! To thank you, everything in my TPT store is on SALE today through Wednesday. Also, check out #FallWinterSpanishSale for more sales this week as well. Here are a few ideas for Thanksgiving in Spanish class. Last year we made the bulletin board below. See this post for how to make your own thankful turkey in the target language. If you are looking for a one day no prep activity to use your future tense in a personalized way, this new Find Someone Who to talk about Thanksgiving plans is perfect. 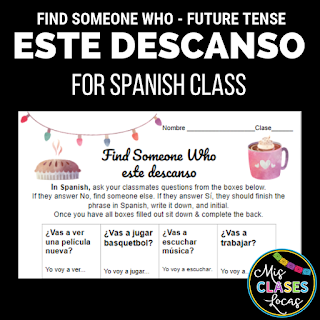 It has versions that can be use with any level of Spanish with a variety of differentiation options the day before Thanksgiving or winter break. This year we will have trimester 1 finals the Monday & Tuesday before the holiday, so maybe we will complete some after our tests are completed, while everyone is anxiously awaiting going home to stuff their faces with pie. An easy no prep activity is a free write in Spanish about holiday plans, a favorite past Thanksgiving, or a made up story involving the holiday. What other ideas do you have for Thanksgiving?